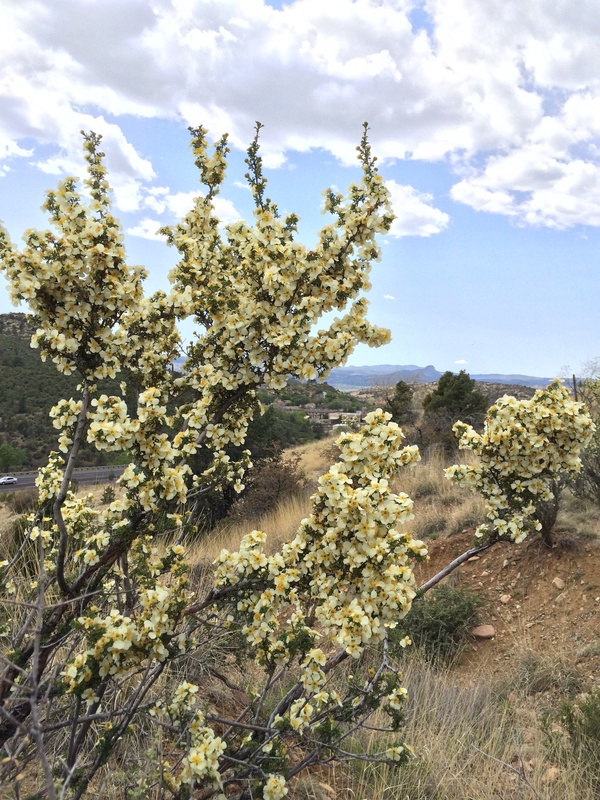 All spring long, a flamboyant display of colors has been unfolding quietly in the rocky hills of Prescott, Arizona. Thanks, apparently, to the relatively wet winter of 2015, the prickly plants that normally wouldn’t warrant a second glance have been showing their more attractive sides. 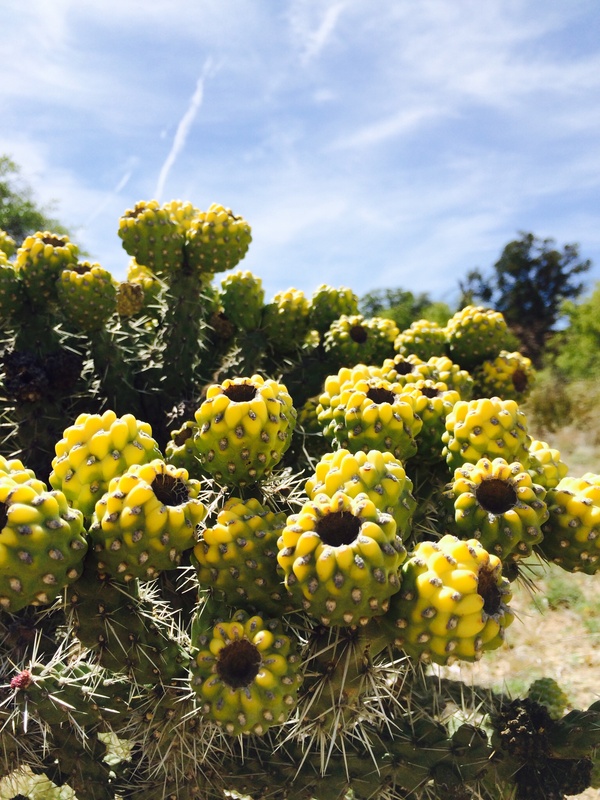 Every time I venture out on the trail lately, it seems, I notice a new type of cactus or shrub sporting flowers in gorgeous hues of reds, pinks, and yellows. In a lot of ways, this season’s floral bounty has opened my eyes to the less obvious pleasures of hiking. When I started exploring the trails in Arizona’s high desert years ago, I tended to pay more attention to the big attractions. I had my standards: To make all of that hard work worth it, a hike needed to come with a payoff – either a gorgeous, sweeping view, or water of some type. 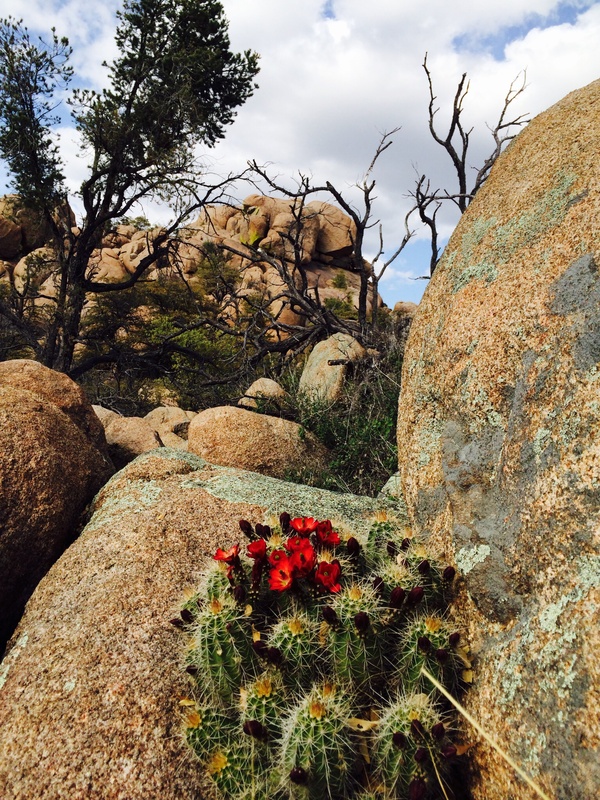 Actually, the views are plentiful in Prescott’s hilly terrain, so that goal was fairly easy to meet. Water was a little more difficult, but there are several beautiful lakes in the area, and during a wet year, the creeks might be running. Of course, I gave in now and then, and hiked a flat, dry section. Sometimes it was just for the exercise, or it might have been to accompany a friend who wanted to check out the area. Even so, I was always hoping for the big payoff. In recent years, though, I have become familiar with the soon-to-be-complete Prescott Circle Trail. 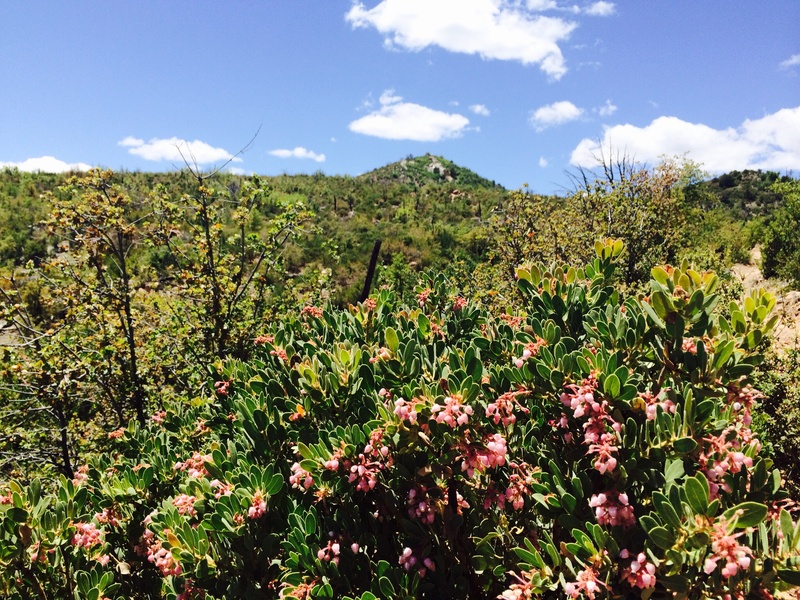 A 52-mile loop around Prescott, the trail takes in plenty of beautiful views and even includes a few creeks and lakes. But there are long sections of the Circle Trail that traverse low-key forestland and gently sloping desert. It is in those sections that I tend to turn more to the plant life. I must admit that I’m not a botanist, and I can’t name all of the flowering plants. But that doesn’t detract from my appreciation! 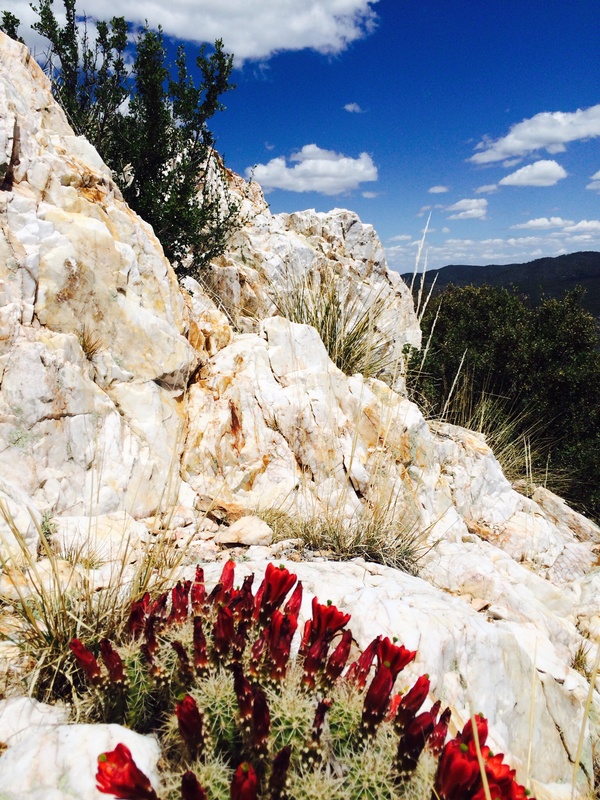 On a recent hike up Prescott’s Quartz Mountain near White Spar Road, I came across several prickly pear cacti in full bloom with vibrant red flowers. Framed as they were by the white quartz and the blue sky, the flowers took my breath away. The beauty of this year’s batch of flowers has reminded me that there are all kinds of payoffs in nature – both large and small.